If you're a regular on the blogosphere then I'm sure you'll have heard everyone and their dog rave about KIKO... but I wanted to write this post just in case you hadn't.... And, I really needed to get it out somehow. I love luxe, expensive and beautiful beauty products just like the next gal. They generally work incredibly, they look lovely on your dressing table and they feel so exciting to own. The worst bit? Parting with the sometimes excessive amount of cash to get your hands on them... I'm always looking for products that work wonders but don't break the bank balance and there's one brand that ALWAYS pops up and blows my mind - and you will probably have an inkling by now that that is of course KIKO. I remember the first time I stepped into the KIKO store on Regents Street. I was a University student, still a beauty blogger and I'd heard so much about the brand that I couldn't wait to check it out. It was one of those things where I hadn't really planned to go, but I saw the big sign staring me right in the face across the road and it just pulled me in (a lot like Claire's Accessories used to around 10 years ago...)! I stepped inside, a little overwhelmed. I mean their stores are a little manic... They're always rammed with people trying to swatch the products and grab the bargains, but I think that just shows how incredible it must be if it's always that busy. There are rows and rows of products - I remember finding it so hard to decide what I even wanted. All I knew was that I wanted something... I was not going to come away empty handed. I think that time I just picked up a dark brown shimmer eyeshadow - but the next time I stepped inside, I picked up a little more. Restraint is not something I'm always good at, student budget or no student budget. Honestly, there's not anything I've ever tried from KIKO that I haven't liked - I know, big big words - but then I wouldn't be writing this post if I did. Their lip liners are one of my favourites, even the uber cheap ones. You can pick up a tonne of shades and it really isn't the end of the world if it doesn't suit you - the same can be said for the lipsticks... Eye shadows... Nail polishes... Perhaps I should have just said it could be said for the rest of the products in the store too! KIKO are always coming out with new collections. Pictured above is the KIKO Midnight Siren Collection from November last year if I remember right. It's a beautiful collection and the packaging just blew my mind. I've not seen anything like it before. And each collection is always different, so if this packaging doesn't take your fancy, then just hold off and wait for another collection to come out or check the other one's there selling. There's always something. You must check out the Rebel Romantic collection if you're a fan of Charlotte Tilbury makeup. They sell in store and online, so if you've not got a chance to head to a store (or don't fancy the craze to get the lip liner you're after) then their online store is definitely worth a browse... In fact, that's what I might just do now. 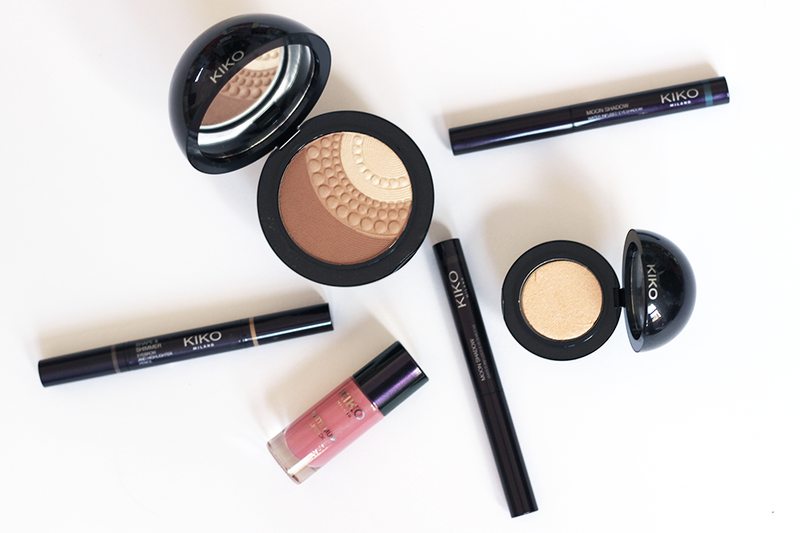 What are your favourite KIKO products if you've given them a go or what products are you eyeing up? I've been to a KIKO store a few times but always been a bit overwhelmed by everything and left empty-handed. I do want to try their eyeshadow crayons though. I haven't actually tried anything from Kiko yet, and I so want to. This post just added fuel to the fire. Sorry bank account, but I need to shop!